Video obtained by KARE 11 shows a light rail operator disregarded signals to stop leading to a fatal crash. However, prosecutors say they cannot charge him. 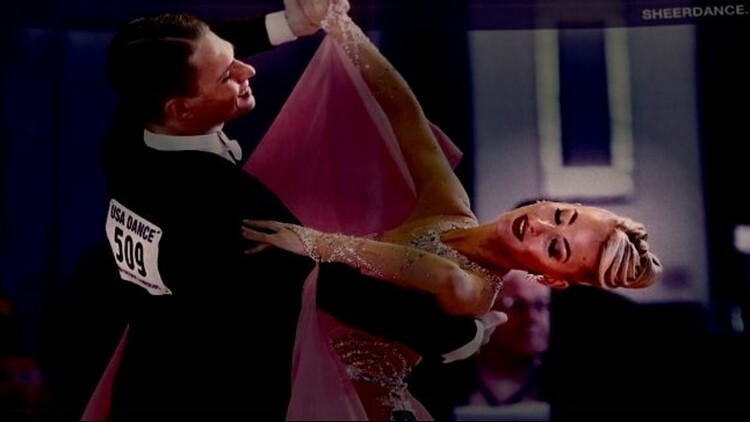 ST PAUL, Minn. — A fatal crash between a Green Line train and a car driven by a prominent Twin Cities ballroom dancer has state lawmakers reconsidering what it means to a drive a motor vehicle. Although prosecutors believed there was clear evidence that the train operator was at fault in the crash, they decided he could not be ticketed because Minnesota traffic law does not apply to trains. It’s a legal loophole that surprised lawmakers. “I was really appalled,” said State Representative Linda Runbeck (R-Circle Pines). She has vowed to introduce reforms this legislative session. Neli Petkova struggles to sleep at night. “Flashbacks of the impact, the sound, the screaming,” Petkova said of the memories that haunt her. The flashbacks are of the evening of July 15, 2017. Neli and her boyfriend Nicholas “Nic” Westlake, 29, were prominent ballroom dancing instructors. The Minnesota pair were international champions and regularly appeared in local news publications and broadcasts, including on KARE 11. Nicholas “Nic” Westlake and Neli Petkova were dance partners. On that July night, they were headed home from a volunteer planning session about upcoming dance events in the community. “What I remember was just something big coming from the left side,” she recalls. That something big was a westbound light rail train. A fatal crash between a Green Line train and a car on the evening of July 15, 2017, at Eustis and University in St. Paul. Nic was driving, Neli was in the front passenger seat when they entered the intersection of Eustis and University in St. Paul. They did not make it to the other side. A traffic camera above the intersection captured the crash in startling clarity. It shows the Green Line train slamming into the driver’s side of the car. Neli stumbled from the mangled car and collapsed. A passerby carried her to safety. Neli Petkova is carried to safety by passersby after the crash. Nic was trapped in the driver’s seat as the vehicle started on fire. St. Paul firefighters freed him, but he died of his injuries at the hospital. Neli ended up with 11 pins and two metal plates in her arm and lots of questions about the crash. “The why? The how?” she asks herself. According to investigative files obtained by KARE 11, the train operator, Abdellatif El Maarouf, refused to be interviewed. However, he told police at the scene he had the right of way. Video from a nearby traffic camera and from cameras onboard the train itself tell a very different story. When Nic Westlake’s car enters the intersection, the traffic camera shows his traffic signal was still yellow. 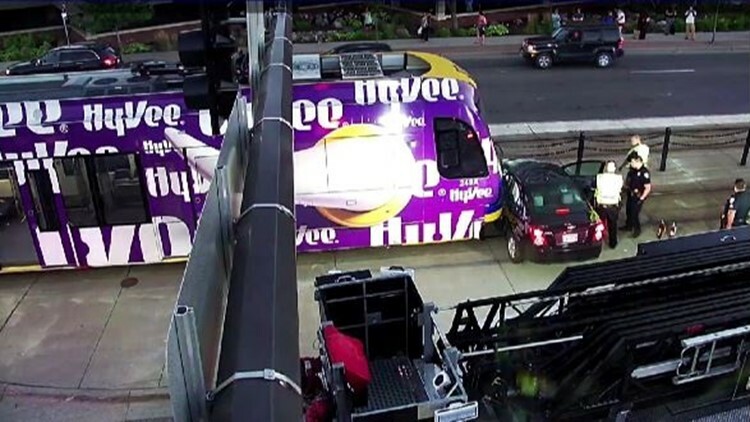 In fact, KARE 11’s analysis of the video reveals the light did not turn red until two seconds after the train collided with the car. What’s more, train operators have their own signals. A vertical bar means go and a horizontal bar means stop. Cameras onboard the light rail train clearly show the signals were horizontal before the train entered the intersection. Peter, along with younger brother Seth, parents Bob and Lisa Westlake, and Neli Petkova recently met with KARE 11 to discuss the case. The Westlake family and Neli Petkova discuss their case with KARE 11. “I can’t even look at it,” Bob Westlake said of the video that shows the crash that claimed his son’s life. “To know that your son’s death was recorded on multiple angles on film, that’s – that’s a daunting thought,” Lisa added. It’s not the video that led the Westlake family and Neli Petkova to publicly discuss the crash, it’s what they call the failure of the justice system to hold the train operator accountable. “The driver has faced no penalties at all,” Peter Westlake explained. The crash that killed Nic Westlake revealed a loophole in Minnesota law that prevented the train operator from facing criminal charges. The Ramsey County Attorney’s Office issued a memo that KARE 11 obtained through an open records request. It explains that because El Maarouf was not speeding, on his phone, or under the influence of drugs or alcohol, he cannot be charged with felony gross negligence. In cases like that involving cars and trucks, drivers still can be ticketed and face lesser misdemeanor charges. But the St. Paul City Attorney’s Office declined to file charges even though Assistant St. Paul City Attorney Stephen Christie wrote that he believed the train operator was at fault. “When I drive a car, had I driven a car though an intersection I would be held to a different standard of accountability,” said Lisa Westlake. “Is that the world we want to live in where someone who operates a train will have a different level of accountability than I would?” Nic’s mother asked. Neli Petkova lost her boyfriend, Nicholas “Nic” Westlake, in the crash. “Had you seen this video before?” asked KARE 11 investigative reporter A.J. Lagoe as he showed video the fatal crash to State Representative Linda Runbeck (R-Circle Pines). “No, I had not,” she replied. “My gosh…phew,” she exclaimed as she watched. Runbeck serves on the House Transportation Committee, but until the crash she had been unaware of the legal loophole. “I was really appalled, I was really appalled,” she said after learning prosecutors had not filed charges. 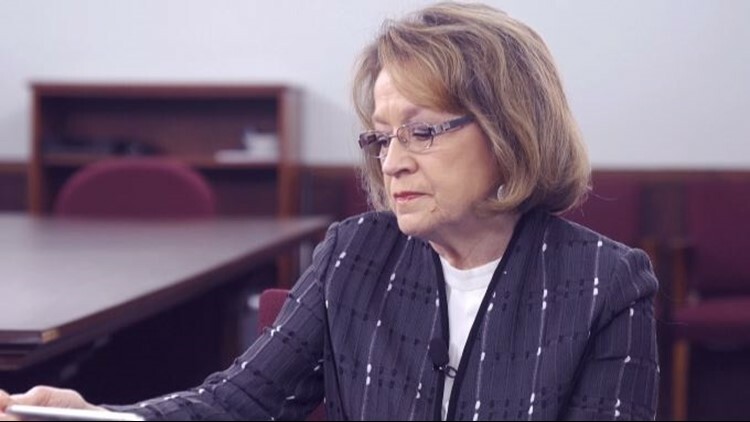 Rep. Linda Runbeck watches the crash video for the first time. The Westlake family has filed a wrongful death suit against the light rail operator, the Metropolitan Council and the Metro Transit Commission. 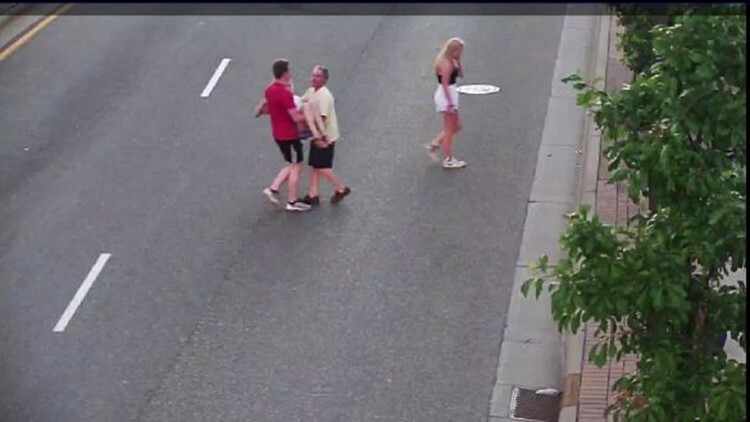 The lawsuit claims: "Defendant Abdellatif El Maarouf's failure to keep a proper lookout, failure to keep proper distance, failure to stop, and failure to control the light rail vehicle caused the accident and Plaintiff's death. Additionally, upon information and belief, the Metropolitan Council's and MTC's failure to properly train and supervise Mr. Maarouf caused the accident and Plaintiff's death." El Maarouf has not responded to KARE 11’s request through his attorney for comment. Metro Transit terminated El Maarouf after the crash, but his union appealed the firing and he was able to keep his job. Records show he was assigned to a maintenance position and is no longer allowed to operate trains or buses. The Westlake family says they take solace in knowing that Nic was an organ donor. Because someone else’s life was saved, the Westlake family says Nic’s dance goes on.